FREEPORT, Maine — Inside the L.L. Bean product testing lab, the zipper opened and closed in a mesmerizing display. Twenty thousand times over the course of eight hours, a machine zipped and unzipped the teeth in a quest to make sure it was backpack-worthy. 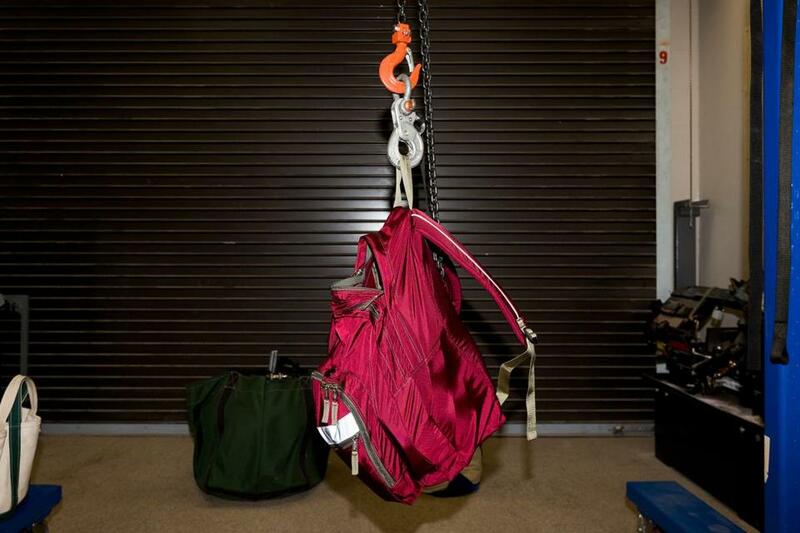 Nearby, a maroon backpack hung like a slab of meat, loaded with 150-pounds of steel, just to see if the handle could survive a sixth-grader’s toss, while lab techs in white coats documented how quickly sandpaper destroys polyester. It’s the height of backpack season in a region that may have more packs per capita than any other, and few know the industry better than L.L. Bean. 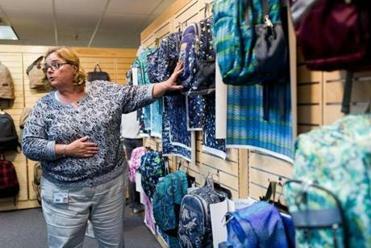 Yet the venerable Maine company faces a flood of competition on every side, as backpack sales are expected to reach a high of $3.1 billion this year, according to analysts at Euromonitor International Ltd. That’s up from $1.9 billion just five years ago. But Ayako Homma, a senior researcher at Euromonitor, said adults are driving much of the growth in the backpack-as-accessory industry, as leisure and casual wear clothing have become more popular. Increasingly, backpacks also have taken the place of handbags, briefcases, and even carry-on luggage for travel. Homma said the trend is so widespread the US market is nearing maximum capacity when it comes to backpack sales. Over the next five years, sales growth may even slow slightly, analysts say. That puts a company like L.L. Bean, best known for its utilitarian styles, deep in a forest of competition with other companies offering trendier or lower-priced models. Its Deluxe Book Pack, a model designed around a three-ring binder, launched 26 years ago and little about it has changed, including the name. But it remains a bestseller. And that’s the point. While others make backpacks that seem semi-disposable, even replaceable at the end of each school year, L.L. Bean is banking on a built-to-last, affordability promise it’s been pushing for years. That’s where the testing lab comes in. The 4,000-square-foot space on the top floor of the L.L. Bean headquarters aims to take those quality promises and put them through the paces. In one corner, technicians conduct a “hydrastatic head test” to see how much force it will take to push water through the waterproof fabric it imports from overseas. It’s unusual for a company to undertake such a test, but it’s the best way to ensure that if a so-called waterproof backpack ends up in a puddle, it will keep water out. Designer Pam Jones showed some L.L. Bean children’s backpacks. “A lot of fabrics fail,” said Tom Begley, the lead lab technician, and a 22-year employee of the company. Nearby, a 3M reflective light, the familiar stripe on its packs, sits for days in a freezer at minus-20 degrees Fahrenheit to see whether it cracks or loses luminosity. If the company detects a change in zipper quality from YKK, its manufacturer in Tokyo, or synthetic fabric from China, it can save millions in returns and replacements. So the lab runs as many as 1,000 tests on components a year. The company’s bet on quality appears to be working. Sales of that Deluxe Book Pack have increased 10 percent per year since 2011. L.L. Bean doesn’t disclose specific sales figures, but said it is among the top US backpack makers, adding that its overall pack sales have grown 3 percent a year on average. That job falls to senior designer Pam Jones, a three-decade veteran who has seen trends come and go. On a recent weekday, she reviewed fabric samples for fall 2017. In recent years, the company has used color “more aggressively,” she said, or added modular pieces, such as a laptop carrier that pairs with a backpack. A deluxe book bag full of 150 pounds of weight. Megan Woolhouse can be reached at megan.woolhouse@globe.com.